Introduced at WWDC 2017 alongside updated 15-inch MacBook Pros and 21.5- and 27-inch iMacs, the Mid 2017 13-inch MacBook Pro with Touch Bar comes equipped with a 13.3-inch 2560 x 1600 IPS display with 500 nits of brightness. 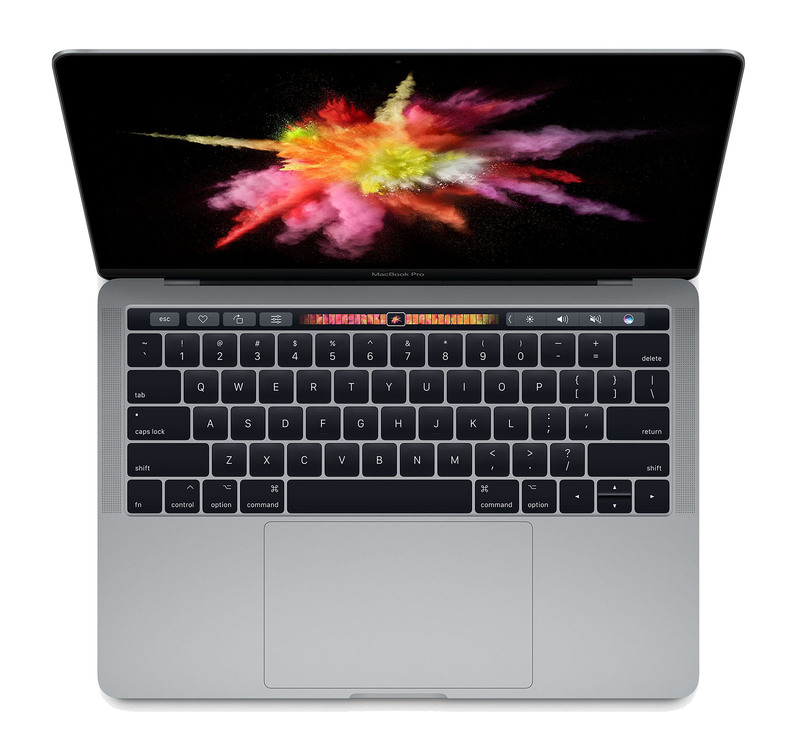 Each 2017 13-inch Touch Bar MacBook Pro also has a dual-core 3.1GHz or 3.3GHz processor with 64MB of eDRAM. Storage options include a 256GB, 512GB, or 1TB PCIe-based onboard SSD, and every Touch Bar 13-inch MacBook Pro has Intel Iris Plus Graphics 650. The systems, which can be purchased in Silver or Space Gray, also feature four Thunderbolt 3 (USB-C) ports with support for charging, DisplayPort, Thunderbolt (up to 40 Gbps) and USB 3.1 Gen 2 (up to 10 Gbps). The 13-inch Macbook Pro also has a full-size backlit keyboard and Force Touch trackpad. Memory capacity starts at 8GB of 2133MHz LPDDR3 onboard RAM, but is configurable up to 16GB. Pricing for Touch Bar models with an integrated Touch ID sensor starts at $1,799, but shoppers can find instant and exclusive coupon savings below.